Communal landowners from four villages whose land was taken for Sentani Airport disrupted airport operations on several occasions, blocking the runway and taxiway. This action helped secure compensation and recognition of their customary land rights. 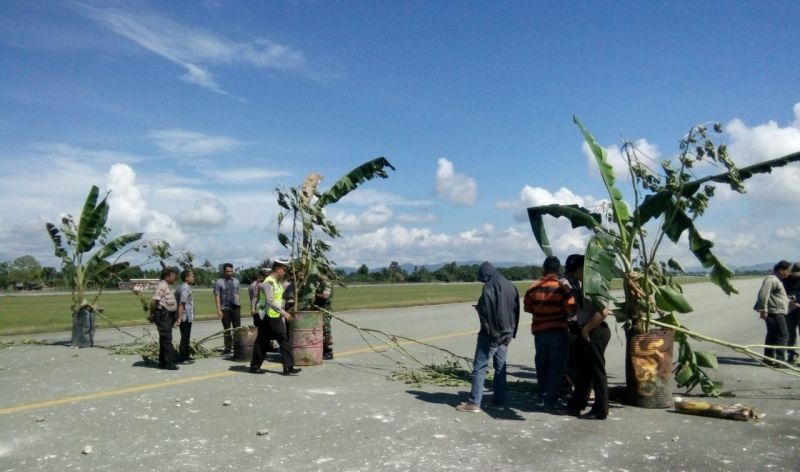 Residents whose land was taken for Sentani Airport blockaded the runway and taxiway on several occasions, helping them to secure compensation and recognition of their customary land rights. Scores of residents from three tribal groups - Fele, Sokoy and Kalem - closed the airport down on 28th August 2009, by placing bars on the runway, causing flights to be suspended for about two hours. They demanded compensation for communally owned land that was used to build the airport and said they would repeat the action if the issue were not resolved. Protesters only left the runway after being dispersed by the Jayapura Police and after leaving the runway they blocked access to the airport traffic control tower. The head of the airport denied their claim, saying the land was a government asset handed over to the airport, stated that the Papua Transportation Agency had compensated the landowners, but stated there was no ownership certificate as, following independence, it was surrendered by the Dutch colonial administration. Papua Governor Barnabas Suebu issued a decree asking the Jayapura Regency administering to address the tribes’ compensation demand. Unrest among residents displaced for Sentani Airport erupted again in October 2013. 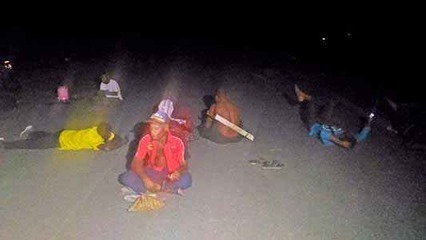 Four tribal groups - Palo, Taime, Yoku and Kopeo - threatened to shut down the airport and asked workers building the airport to cease their activities. They had followed procedures by consulting Papua Provincial Council and the chairman had promised to facilitate payment of compensation for their customary land rights. They said the airport had still not paid any compensation for land used for airport development, and demanded payment in line with current land values. 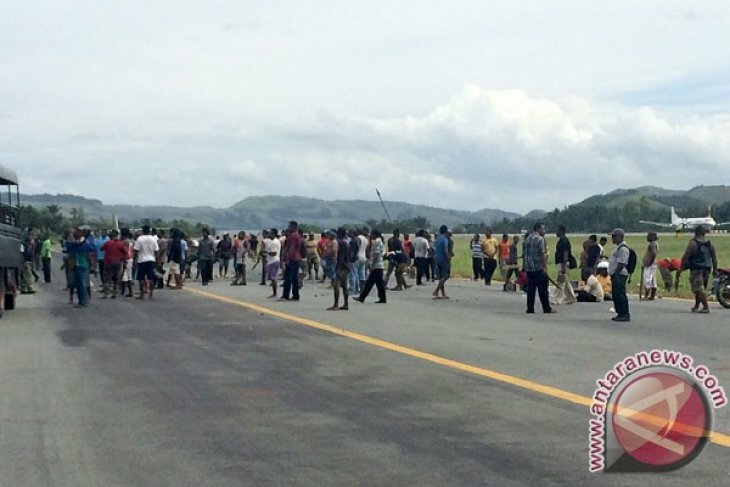 Residents demanding compensation disrupted airport operations again on 26th June 2015; 15 residents of Ifar Besar village, on the shore of Lake Sentani, blockaded the runway with bamboo poles and demanded compensation. After 45 minutes police removed the blockade. Representatives of the customary landholders held another runway blockade on 30th December 2015. They were disappointed that officials had failed to assure them of payment for the land and uphold their land rights. Police were deployed to remove the runway blockade, and demonstrators showered them with arrows. Fights between protesters and police ensued but no casualties were reported. The land compensation rights dispute over Sentani Airport continued and the runway was blockaded again on 6th January 2016. After a meeting with officials failed to reach an agreement a number of residents blocked the runway with stones and tree branches. Displaced residents took direct action to disrupt airport operations again in May 2016. Members of four tribes blockaded a taxiway with banana trees placed on top of steel drums. Airport authorities agreed to pay compensation for part of the land Sentani Airport is built on, an area of 12.5 hectares. In response, protesters removed the blockade but warned they would repeat the action if the authorities failed to abide by the agreement and if payment for customary land was not made by the specified time. Landholders achieved recognition of their rights to a larger land area on 9th June 2018; customary land documents relating to land owned by indigenous people of four villages - Yobeh, Yahim, Ifar Besar, and Sereh - were produced and verified by the Dewan Adat Suku Sentani (tribal council). The total area covered by the two-month verification process, which included boundary clarification, was 267 hectares and included 121 hetares used for Sentani Airport runway and apron. Members of the customary land rights working group said that stipulation of the rights would provide legitimacy for each individual landholder. This marks significant progress in resolution of the struggle for compensation for land acquisition for Sentani Airport that dates back to 1956. Project Details Sentani Airport, originally built by the Japanese during the Second World War, is the largest airport in the Papua Province, situated to the west of Jayapura, capital city of Papua province, close to the northern coast, near the shore of Lake Sentani and near the border with Papua New Guinea. In 2016 Sentani Airport acquired land to enable lengthening of the runway from 2,500 to 3,000 metres to accommodate larger Airbus planes. Sentani Airport is owned by the Government of Indonesia and operated by the Ministry of Transportation. State-owned airport management firm PT Angkasa Pura I will take over management of the airport in 2018. Why? Explain briefly. Payment of compensation for part of the land taken for the airport and recognition of customary land rights could be considered a partial and belated environmental justice victory for villagers impacted by the project.